The Environment Agency has warned communities along the River Thames throughout Surrey, Berkshire and Oxfordshire of the risk of further flooding, after it burst its banks. There are currently more than 70 flood warnings in place. 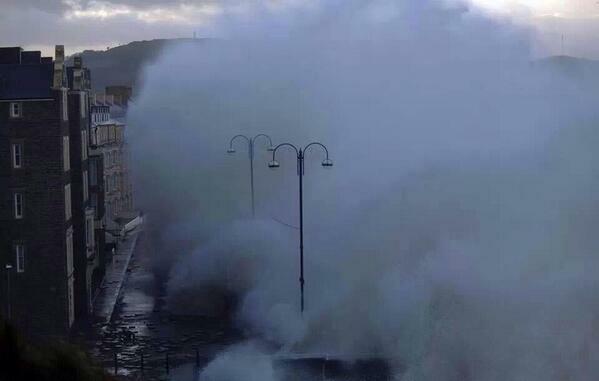 One Twitter user has posted this image purporting to show a huge wave crashing on Aberystwyth promenade in western Wales. Photos taken before and since the recent storms show how British towns, roads and nature have been affected by the extreme weather.